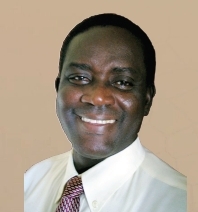 Stephen Langa is Director of Transforming Nations Alliance, the DNA national network in Uganda. He is also an elder at the 22,000 member Watoto Church in Kampala. In 2010, Stephen facilitated Vision Conferences in Khartoum, Yei, Juba and Rumbek Sudan. Attending these events were key church leaders from all major denominations. For more background, read this, this, and this. Stephen challenged these church leaders to step up and play their God-given, prophetic role at this critical time for the nation. As a result, they banded together and took several strategic actions. 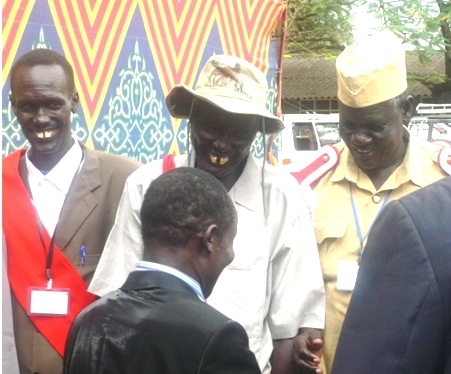 These included convening several reconciliation meetings between various factions in Southern Sudan, conducting civic education and encouraging people to vote in the referendum, and advocating at the United Nations as well as to leaders of the United States and England, warning of attacks planned by the northern government to prevent the referendum from happening. The result of these actions was nothing short of miraculous–a peaceful referendum after more than 50 years of civil war. “A delegation of Sudanese religious leaders met with UN Secretary-General Ban Ki-moon October 11 to express their fear of what might happen if the general referendum of for the independence of South Sudan is not carried out as planned. “We told him we came to raise an alarm to the United Nations.” So they did that, and as a result of this advocacy, Sudanese President Omar Al-Bashir was put under extreme pressure by the UN, by the US government, and by the British government not to invade the south. And we thank God that they prevailed. “In the closing days before the referendum, things began to change. 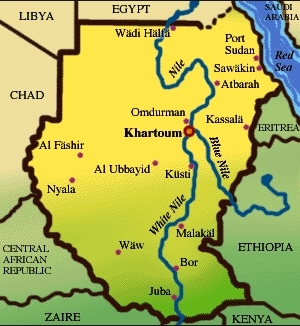 The tone of the Sudanese government toward south Sudan shifted, indicating that the government in Khartoum had accepted the eventuality of southern Sudan independence. It was an amazing thing. Nobody thought this was possible because even in those last moments there was much tension and nobody knew what was going to happen.Four days before the referendum, president Al-Bashir visited southern Sudan. Nobody imagined this was possible. This was December, just a few weeks before the scheduled vote. Finally, the miracle took place, the referendum actually happened, and the people voted overwhelmingly for secession and to start a new nation.What lessons did we learn? “First, that God is sovereign over nations and it is his plans and purposes that will ultimately come to pass. Scripture teaches that it is what God ordains that will actually happen. “Secondly, we learned that when the church decides to obey God and take seriously God’s command to disciple the nations, no power, no force in the universe can prevail against God. “Thirdly, we see that it is feasible and possible today to disciple nations using the principles of the kingdom of God. In 1960, U.S. president Kennedy told the American people that by the end of the decade they should have put a man on the surface of the moon. He said it was now feasible and possible. We are saying today it is now feasible and possible to disciple nations using biblical principles. At the end of the Khartoum vision conference in June 2010 the participants unanimously felt that a VC must be held in Juba, the capital of South Sudan before the January 9 referendum on dividing the country into two nations. The conference, held November 9-13 in the South Sudan Hotel, was facilitated by the interim taskforce in Khartoum working with International AID Services. We prayed that God would bring those who He would use to advance His Kingdom in Sudan. Forty-nine participants came from ten Churches/Denominations and eight organizations. The Churches/Denominations present included the Episcopal Church of Sudan, Africa Inland Church, Sudan Pentecostal Church, Catholic Church, Christian Brotherhood Church, Agape Fellowship Church, Living Water Church, Restoration & Reconciliation Church, National Pentecostal Churches of Uganda and Deeper Life Bible Church. Organizations represented were: International AID Services, Rural Action Against Hunger, Samaritan Purse, Tear Fund, Open Doors, Every Home for Christ, Scripture Union and Jesus is Lord Ministry. Pastor Franco Onaga and Stephen Langa presented (in English). Concern about brokenness in families emerged as a strong priority. When the participants were taught about the importance of promoting healthy family relationships, and learned about the value of women as co-bearers of God’s image, a noticeable sense of relief came over the women. Their faces beamed with joy as they experience, maybe for the first time, a sense of affirmation and liberation from the destructive lies that have long enslaved women in Sudan. They could not hide their excitement! Two couples attended the conference together, and the following day, the women testified that transformation had already began in their marriages! One pastor was so convicted that he phoned his wife in Khartoum to ask her forgiveness, and promised to take her out for a date when he returned. We learned later that he fulfilled his promise and his shocked wife wondered what had happened to her husband as this was something he had never done since they got married! the need for the church to engage the state more effectively on national issues. During the verbal evaluation, one of the participants said that to him, the message of the vision conference was “a master key” to all problems. Others said the conference provided many answers to long-held questions. The evaluations indicated that most of the participants appreciated the relevance of the Gospel/Kingdom of God in all spheres of life and were very deeply touched and challenged to start living by God’s truth. A key result of the conference was the creation of a Juba Taskforce of seven people to coordinate the Samaritan Strategy movement in Juba. They were given two immediate tasks. First, they are to serve as catalysts to encourage further dialogue between the Church and the state before the referendum to ensure a peaceful referendum and a peaceful post referendum period. Secondly, they will work on strategies to give more churches and church leaders access to Samaritan Strategy teachings. The Taskforce will also plan further vision conferences and vision castings for 2011. Six members of the Interim Taskforce from Khartoum attended the Juba VC. They helped with logistics and assisted the facilitators. Attending this VC also served was a mentoring process for them and especially those who wish to become facilitators in future. The SSA leadership plans to conduct a follow up visit in two or three months. We are praying that the church will strike a healthy balance in relating with the state and avoid the trap of being used by the government and/or politicians to advance selfish interests instead of the agenda of the Kingdom of God. Of course we are also praying for a peaceful referendum and aftermath. May the church of Jesus Christ continue to play her important role of discipling the nation of Sudan both before and after the referendum. Stephen Langa, Eastern Africa Coordinator for Samaritan Strategy Africa (SSA), is praising God for the “suddenly opened amazing doors” the movement is having in Sudan. He credits the robust relationship between the SSA offices in Kampala and Nairobi, but also a growing trust relationship between SSA and the Church Missionary Society (CMS). Sudan, long torn by strife, is largely new territory for SSA. Stephen has worked to “harmonize and coordinate” ministry efforts there, with the goal of building one or more national teams. Dennis Tongoi and the Kenya team had developed relationships with churches in southern Sudan, while Stephen fostered relationships with leaders in Khartoum, Sudan’s capital in the Muslim-dominated north. Notwithstanding the legendary rift between the north and south, he believed it was possible to “forge a common vision and strategy to disciple the nation of Sudan.” That process got a big jump start this year. Stephen attended a Peace and Reconciliation conference in Juba, organized by The Episcopal Church of Sudan, the country’s largest Christian denomination. He wanted to build relationships with church leaders, introduce them to SSA teachings, and explore with them how to equip all Sudan’s Christians. 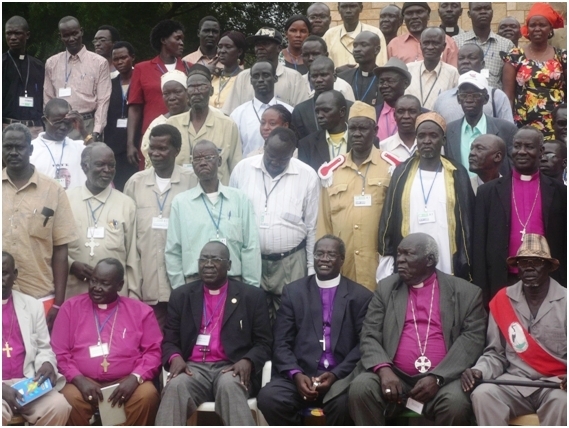 The conference convened 90 participants, including church leaders from 12 dioceses from southern Sudan, but other stakeholders as well. Government leaders attended, including the Speaker of the Southern Sudan Parliament, the Governor of Central Equatorial State, and the Presidential Advisor on Religious Affairs. Another key player was the Minister for Peace and the Comprehensive Peace Agreement (CPA) Implementation. He reviewed the history of Sudan since 1947, before turning to the current status of the CPA. His report indicated that preparations for the January 9, 2011 referendum are far behind schedule. Serious conflicts between the Northern and Southern governments must be solved to provide for a peaceful referendum and a sustainable future. The presence of government leaders at the conference gave believers the opportunity to demonstrate Christ’s love. Participants were deeply impressed by the “open, frank and non-judgmental discussions,” as well as by the good reputation of the church with the government, the people and the international community. Conference planners also invited the leader of New Sudan Council of Islamic Affairs to represent the Muslim community. Some of the most powerful dynamic happened when this man saw Christianity in action. “We were told by the Khartoum government that ‘the Christians in the South hate you and will kill you if the South separates,’” he said. “But now I see that all that is not true. From this conference I have seen that Christians love us and are willing to live in peace and harmony with us”. The enormous political uncertainties in Sudan comprise a significant challenge to the work of SSA, and that of the church at large. No one knows what to expect after the referendum. Will Sudan be a one-state nation, or two? Christians are praying that God would grant peace to the Sudanese people, that the referendum will be conducted in a free and fair manner, and that both the governments and the people will accept the results. 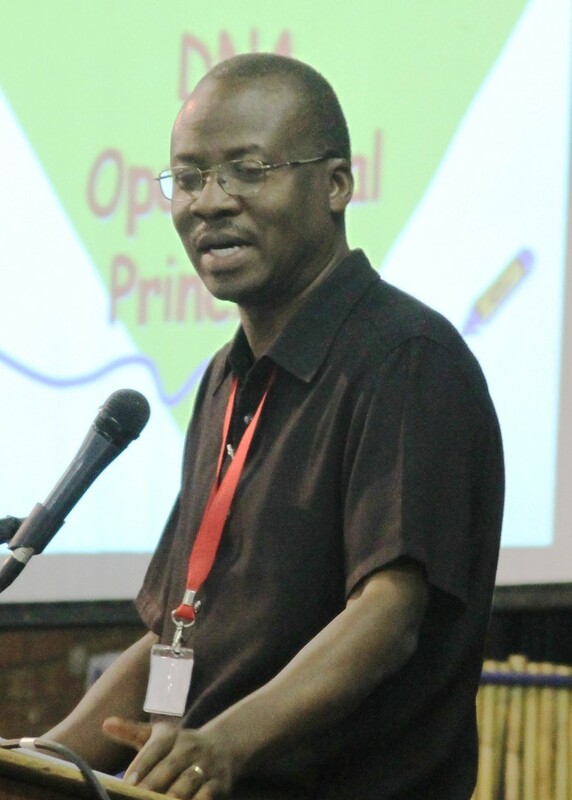 Chris Ampadu, who works with Samaritan Strategy Africa, a Disciple Nations Alliance affiliate, recently spoke to pastors in Sudan at a conference facilitated by the Humanitarian International Services Group. Chris presented DNA messages on the importance of a biblical worldview for transformation and the role of churches in ministering to the needs of the larger community, including the Muslim minority. Humanitarian International Services Group (or HISG) is a non-governmental organization that provides support services to US and international for-profit and non-profit organizations for crisis response and humanitarian developmental initiatives. HISG has adapted DNA messages and content for their training programs. Chris has faciltiated DNA content in several HISG training events in Africa and Eastern Europe.